From left: Brig. 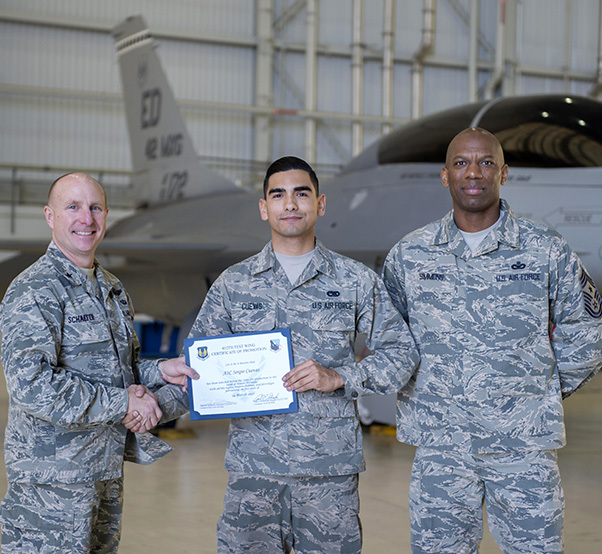 Gen. Carl Schaefer, 412th Test Wing commander, presented Airman 1st Class Sergio Cuevas, 412th Maintenance Squadron, with a below-the-zone promotion March 16, 2017, along with Chief Master Sgt. Todd Simmons, 412th TW command chief. Two outstanding Airmen got a big surprise March 16, 2017, when Brig. Gen. Carl Schaefer, 412th Test Wing commander, and Chief Master Sgt. Todd Simmons, 412th TW command chief, dropped by their workplaces to present them with an early promotion. Airman 1st Class Sergio Cuevas, 412th Maintenance Squadron, and Airman 1st Class Choco Santiago, 412th Comptroller Squadron, were notified they were promoted to the rank of senior airman as part of the Air Force’s below-the-zone selection program. 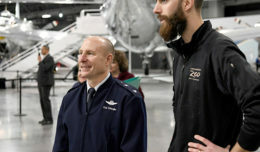 Below the zone is a competitive early promotion program offered to enlisted U.S. Air Force personnel in the grade of airman first class. 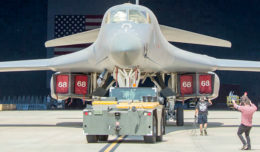 This early promotion opportunity is restricted to elite Airmen who stand out from their peers and perform duties at a level above their current rank. Congratulations to Cuevas and Santiago! From left: Brig. 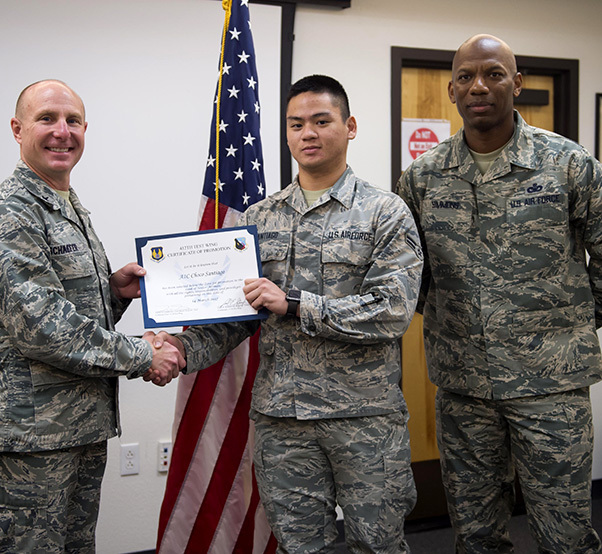 Gen. Carl Schaefer, 412th Test Wing commander, presented Airman 1st Class Choco Santiago, 412th Comptroller Squadron, with a below-the-zone promotion March 16, 2017, along with Chief Master Sgt. Todd Simmons, 412th TW command chief.